Saw this last week on an SBS 2011 Server. 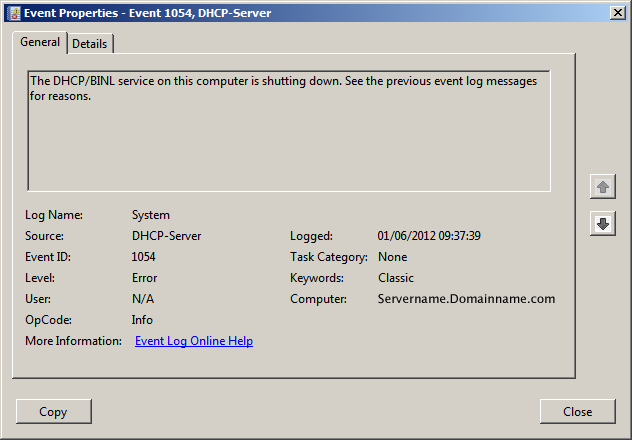 When attempting to get the DHCP service running it span up then stopped straight away. 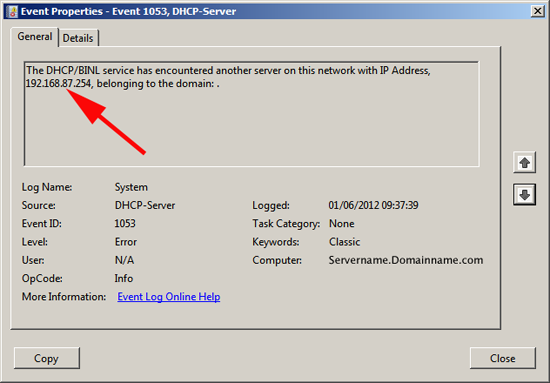 In this example the offending IP (192.168.87.254) Was a Cisco PIX 501 firewall that was running a DHCP server. Thankfully My main job that day was to replace the firewall so when I put in a new ASA I didn’t have the DHCPD service running. If you see this elsewhere you will need to locate the offending IP and disable DHCP on it.